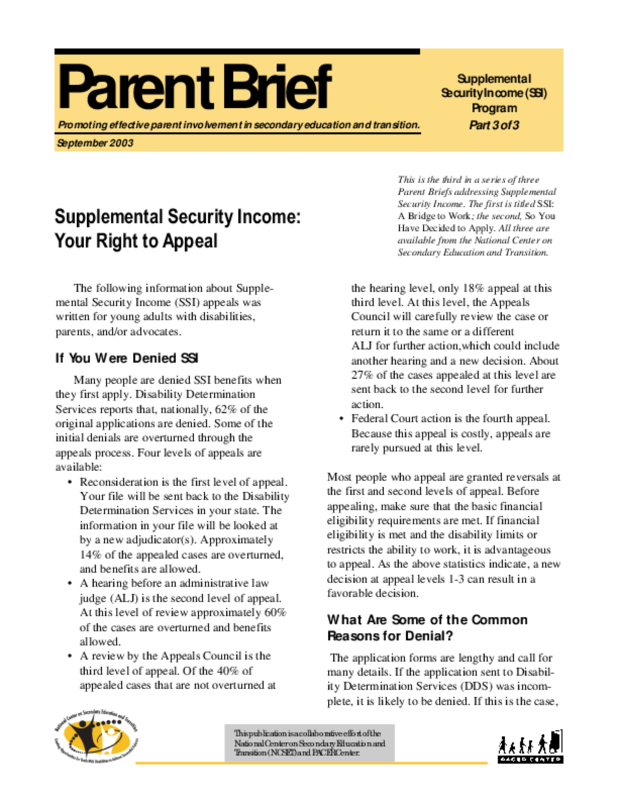 Many people are denied SSI benefits when they first apply. Disability Determination Services reports that, nationally, 62% of the original applications are denied. Some of the initial denials are overturned through the appeals process. Four levels of appeals are available.